Celebrated by futurist poet Giovanni Corona and by writer Flavio Soriga, s’Archittu of Santa Caterina di Pittinurri, in the territory of Cuglieri, gets its name from a long,arch-shaped rock. 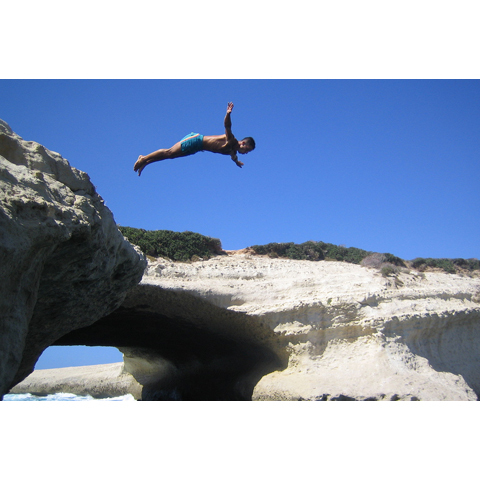 The limestone bridge is about nine metres high and was the centre stage for the world high diving championships in 2001. This is a captivating place, especially at sunset, and has inspired various film directors: Lina Wertmuller used it as the setting for the initial scene in Summer Night withGreek Profile, Almond Eyes and Scent of Basil (1986), Davide Manuli (The legend of Kaspar Hauser, 2011) and Rocco Papaleo (A Small Southern Enterprise, 2012). The reef is formed by sedimentary limestone called lunar, because of the reflections they generate. 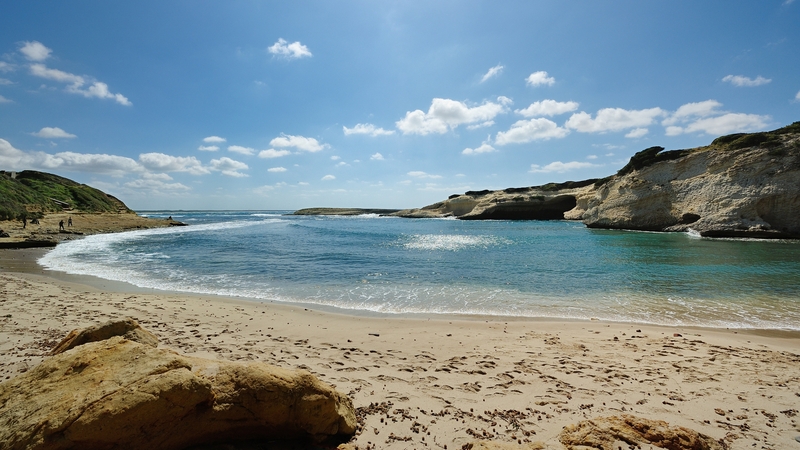 Next to the natural arch, which was originally a cave, there is a beach that is protected from the currents and has a shallow seabed, guaranteeing relaxation and fun. There is no shortage of services and amenities and also access for the disabled. It can be reached via a narrow road located north of the village: by walking along a paved pathway, you can get almost as far as the arch. The most intrepid and expert swimmers usually dive off of the arch, while those who do not like risk, can enjoy the sea and take photographs of the sunsets during the summer: the orange sun seems to stand still, imprisoned within the arch. The landscaperanges from the deep blue of the sea to the green of the Mediterranean scrub. The scenic effect is even more beautiful at night, when lights illuminate the whole area. 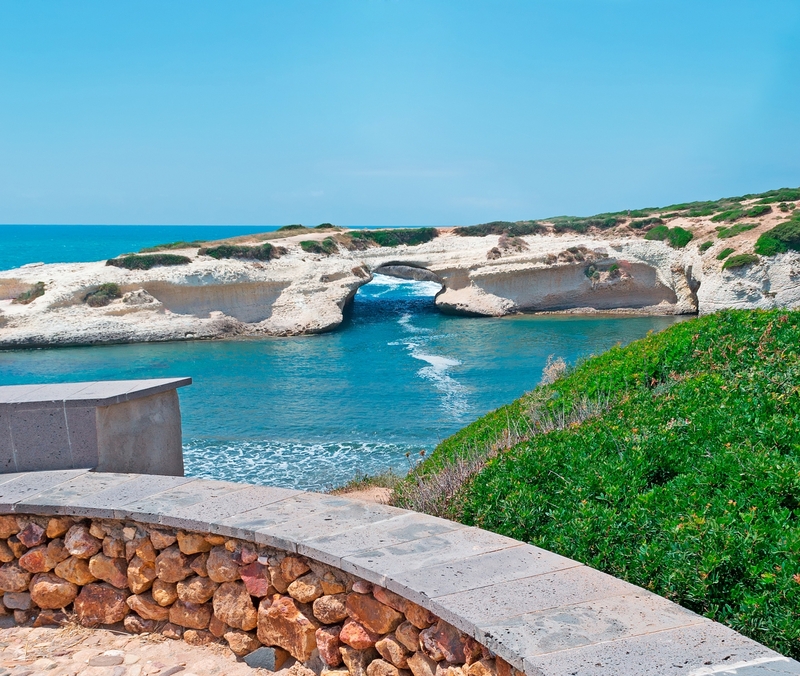 S’Archittu is surrounded by three islets shaped like a mushroom, also smoothed by the patient waves, while nearby, you will find the archaeological site of Cornus, an ancient city state dating back to the 6th century BC. 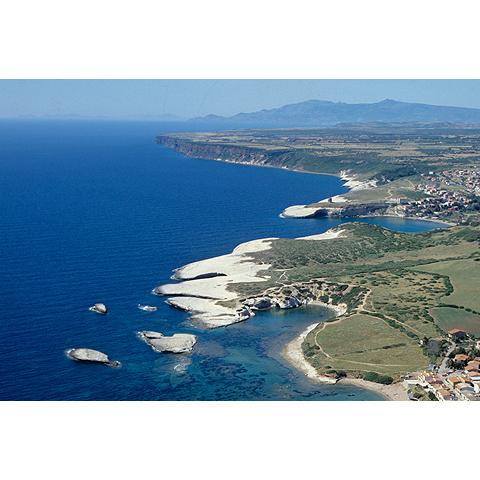 It is reached from State Road SS 292, driving from Oristano towards Cuglieri. 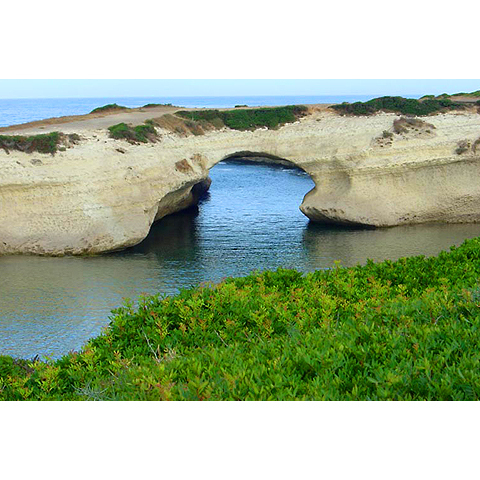 After crossing the village of Riola Sardo, continue past the Torre del Pozzo locality until you get to the village of S'Archittu. Take one of the side roads to the left leading to the paved waterfront promenade.